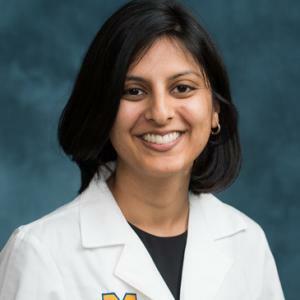 Dr. Lagisetty is a health services researcher and general internist in the Division of General Medicine and also the Center for Clinical Management and Research at the Ann Arbor VA. She is interested in developing and evaluating interventions to prevent drug misuse in general medical settings. Specifically, she focuses on patients with co-morbid pain and substance use disorders. Her research focuses on expanding access to evidence-based treatments, developing multi-disciplinary models to integrate behavioral health and physical health treatment, and addressing barriers in patient engagement. This talk will use a patient case to highlight the difficulties with managing patients with complex chronic pain and potentially overlapping opioid use disorders in a primary care setting. Specifically it will highlight recent research addressing patient engagement in care with a focus on racial barriers to various treatment. In addition, it will highlight many of the dilemmas with coordinating care across specialty addiction treatment and primary care. Finally, it will highlight provider barriers to carrying for patients with chronic pain on opioids.